A specification for the arc of a tube bend, most commonly used with non-round tubing. 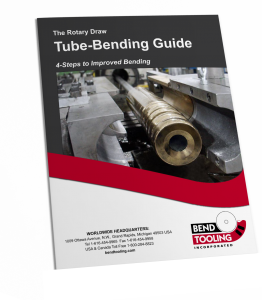 (The centerline radius, which see, is almost always used to specify the bend of a round tube.) Physically, it is the outermost edge of bend; geometrically, it is the continuation of the outboard line of the tube into the arc.